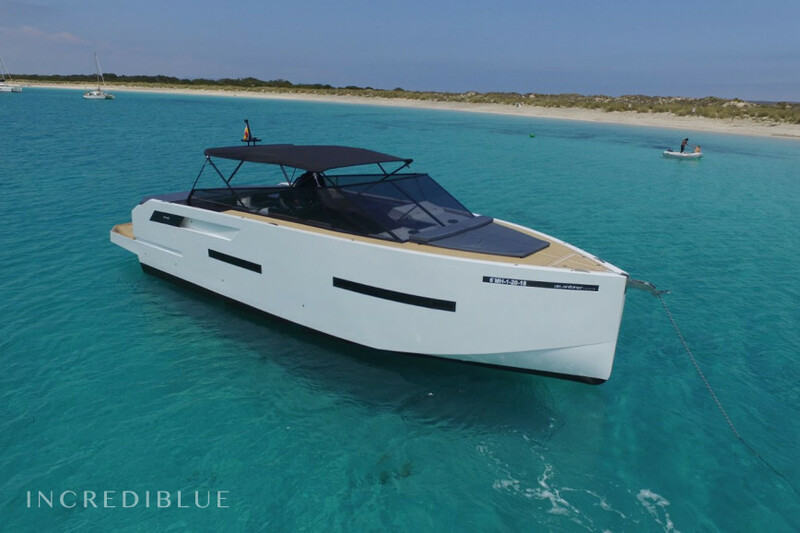 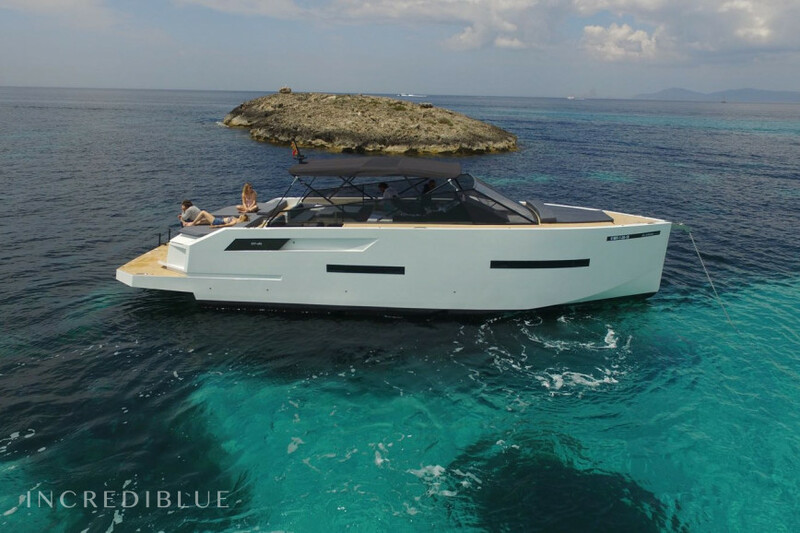 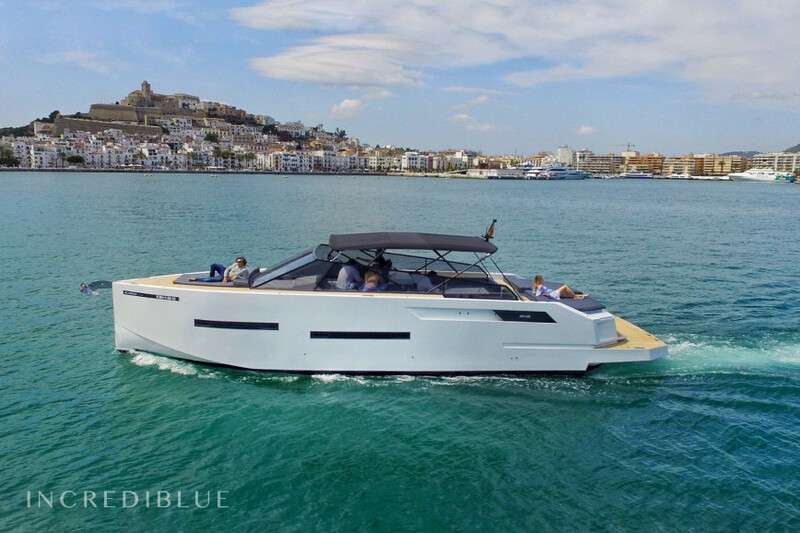 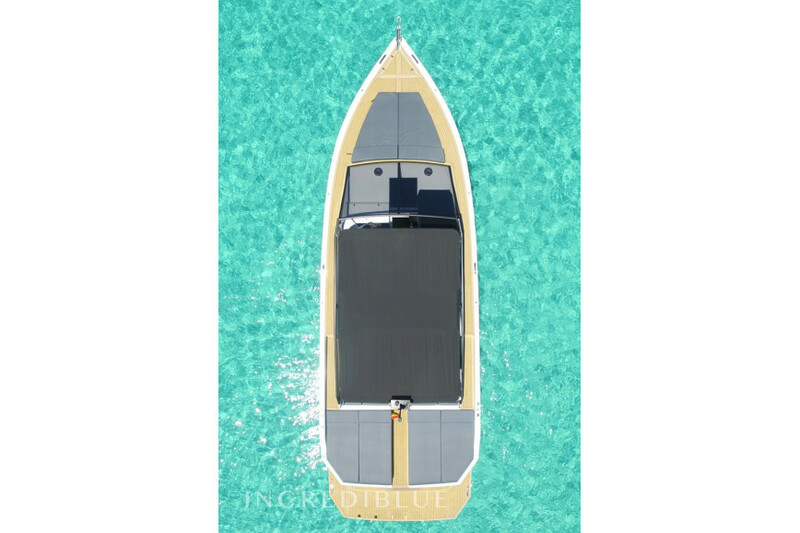 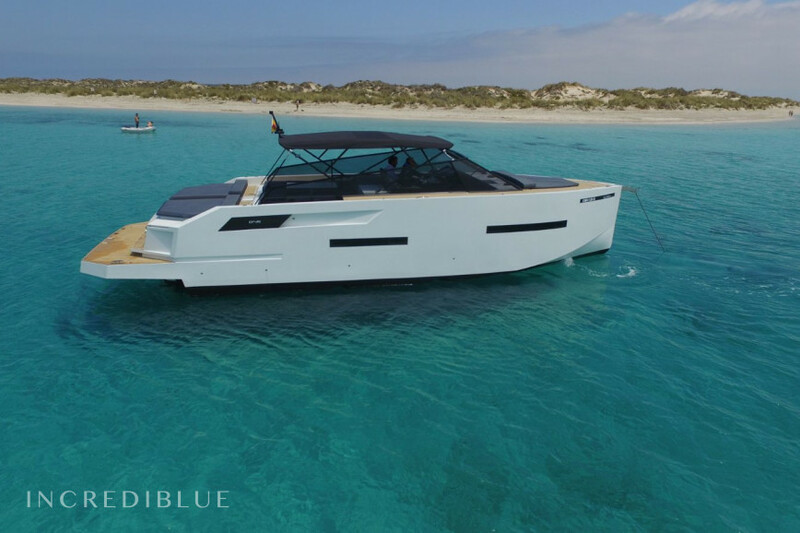 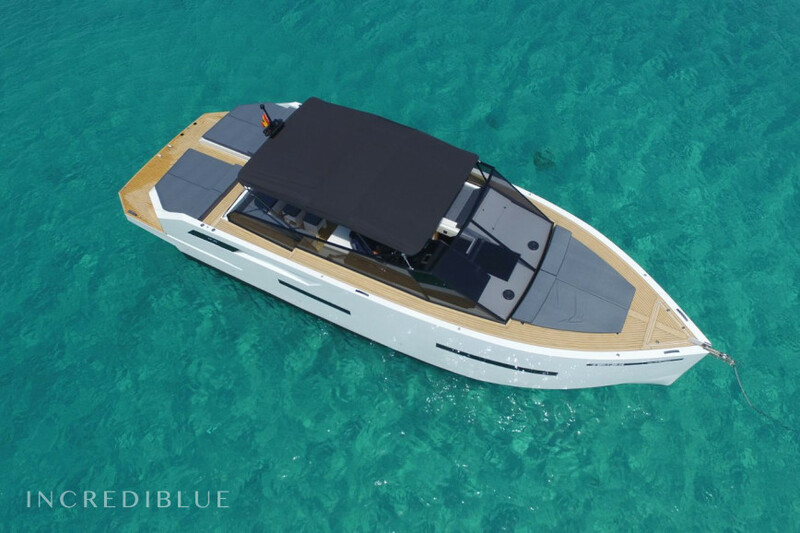 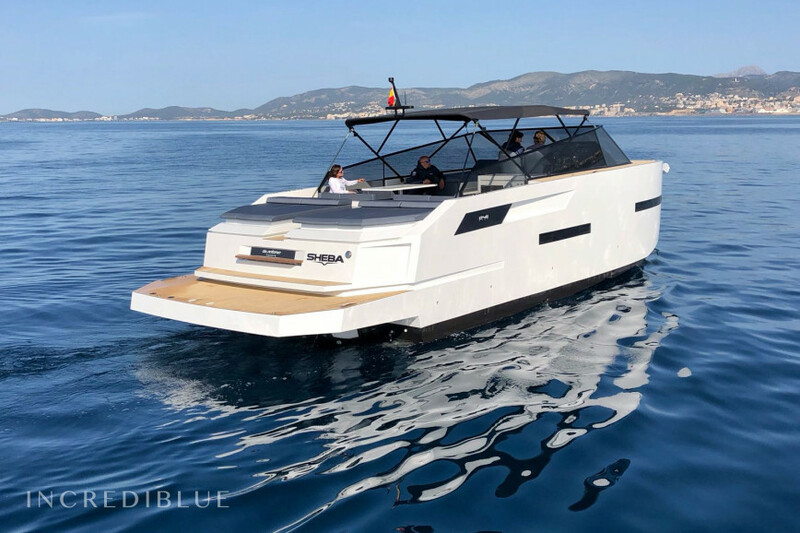 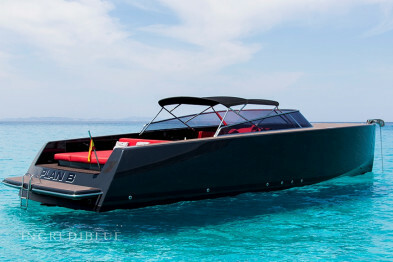 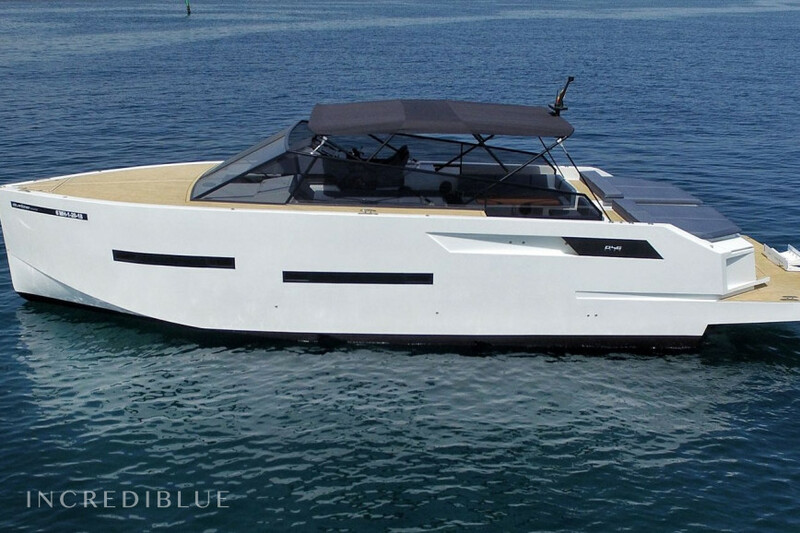 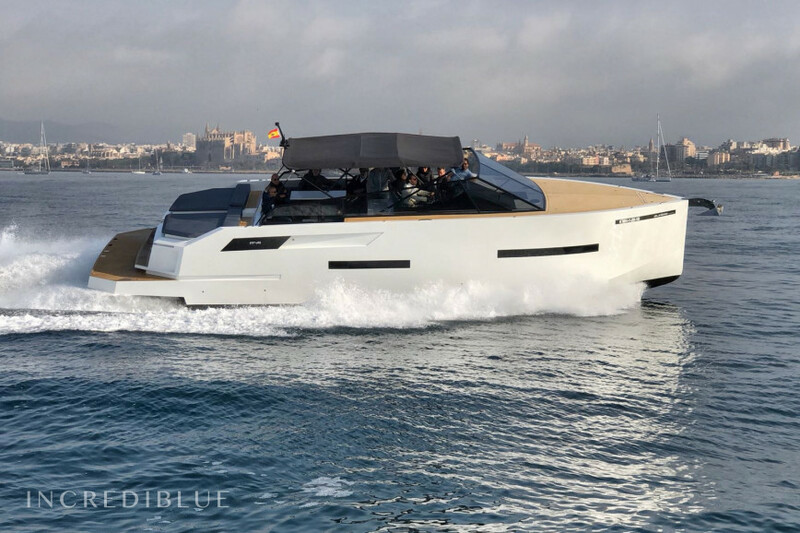 This extraordinary and design yacht will be the star boat during the summer of 2018 in Ibiza and Formentera. 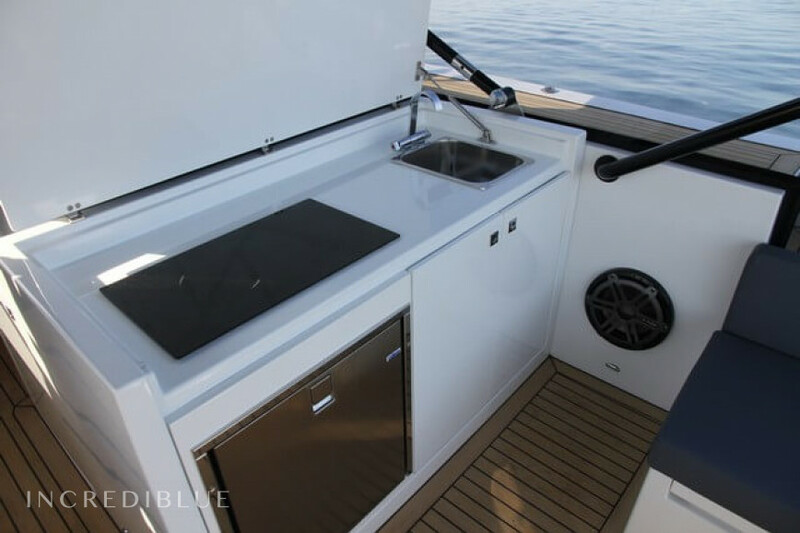 New from 2018, the D46 Open stands out for its wide useful surface thanks to its wide sleeve and its "walk around" design to offer maximum functionality. 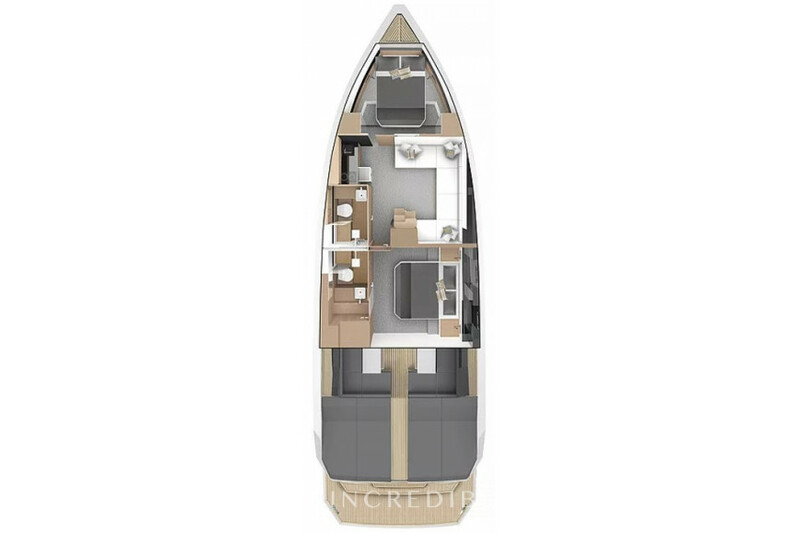 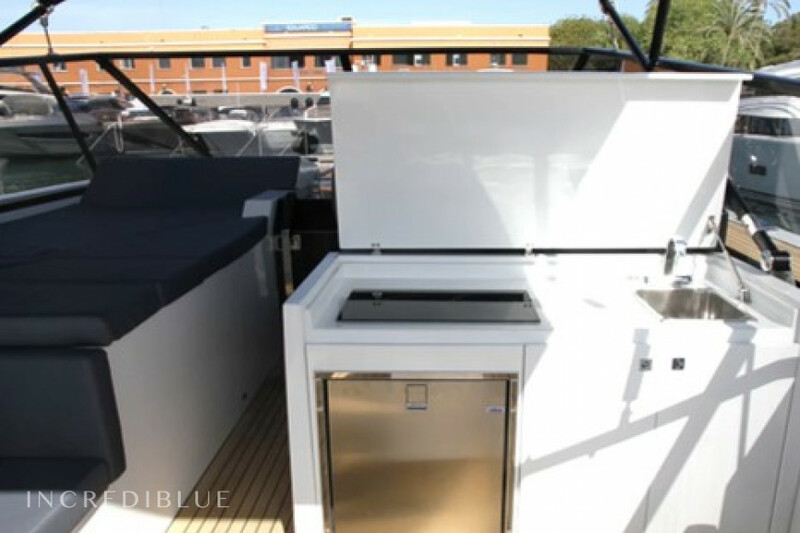 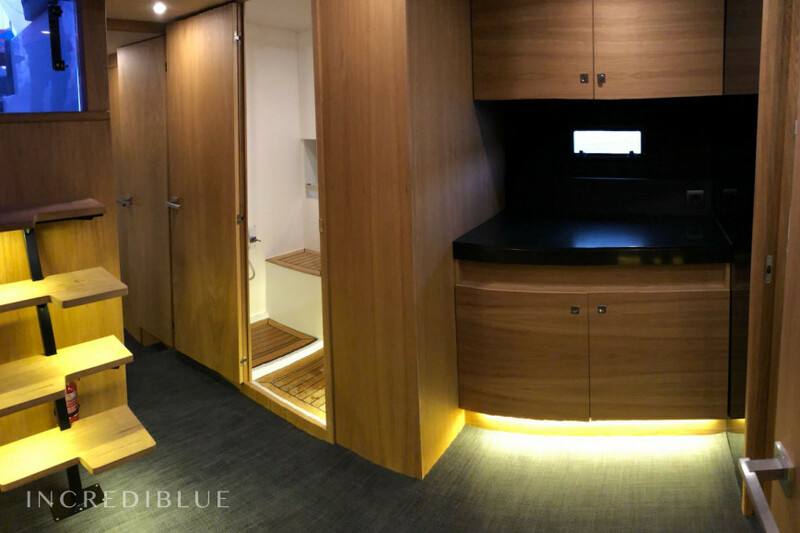 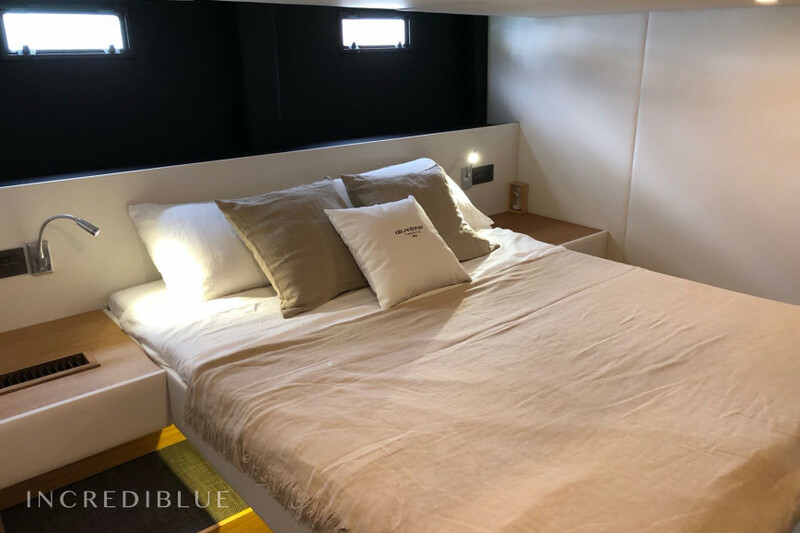 With three cabins with double bed and two WC, it is perfect to spend the nights in it. 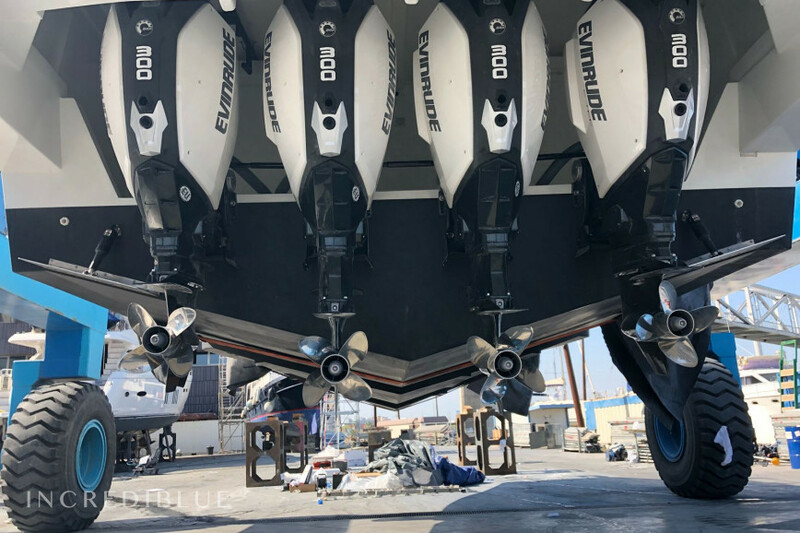 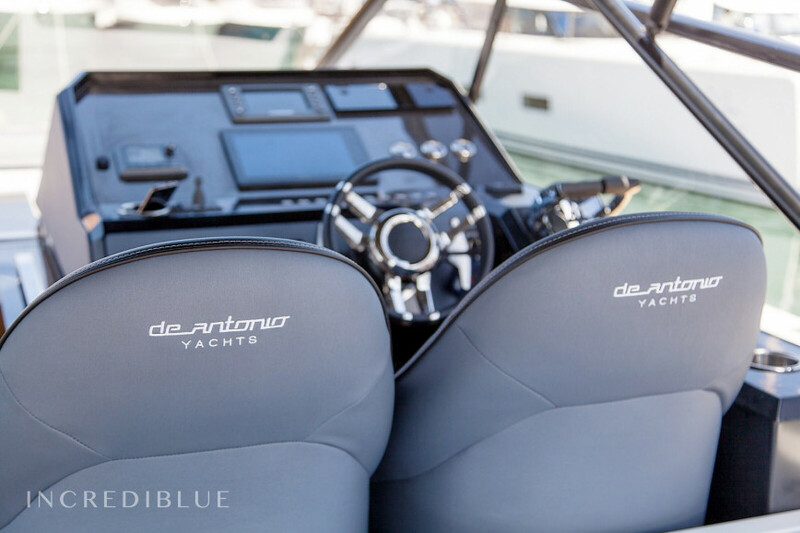 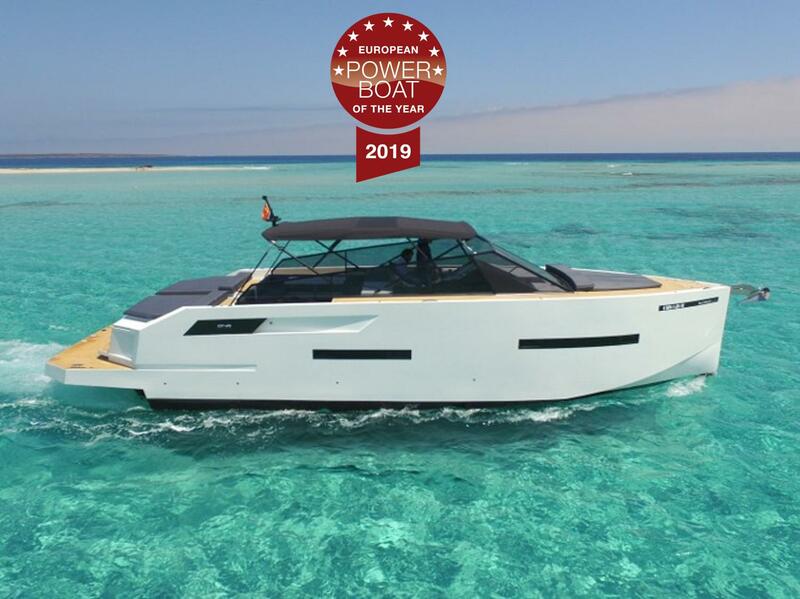 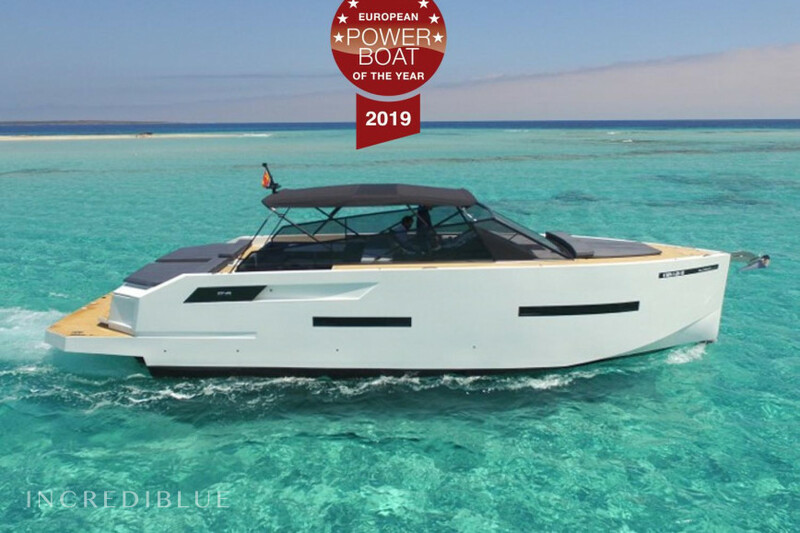 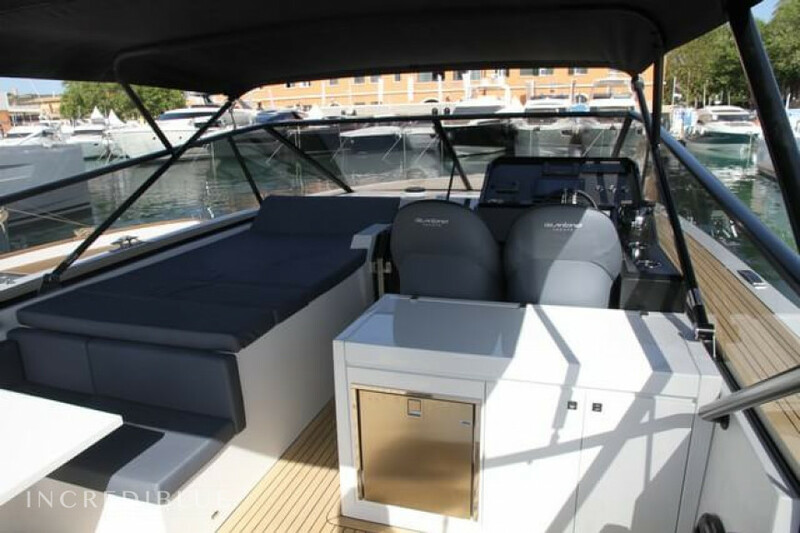 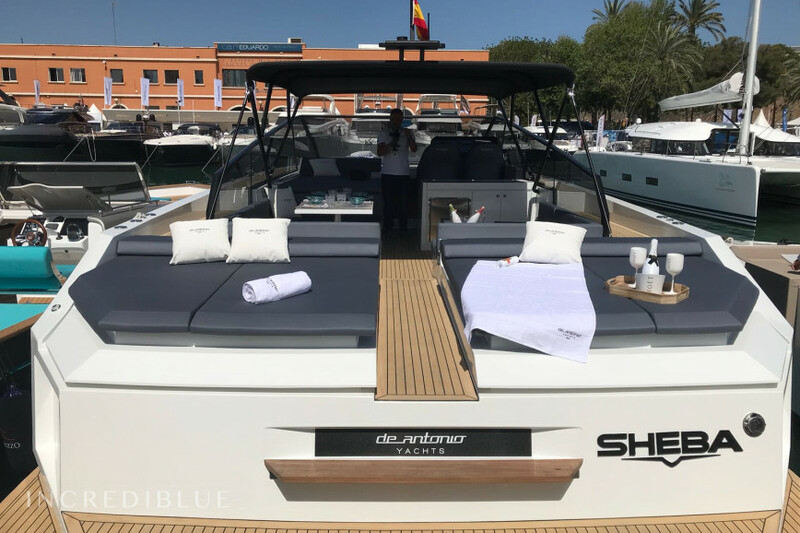 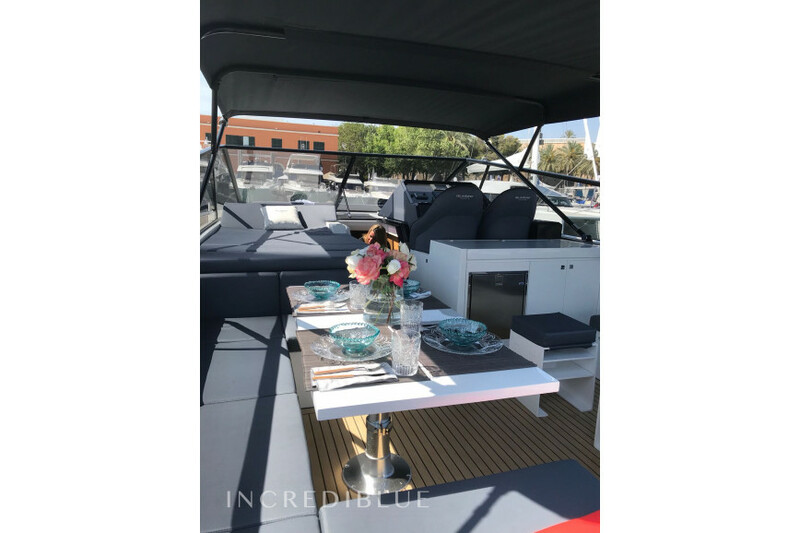 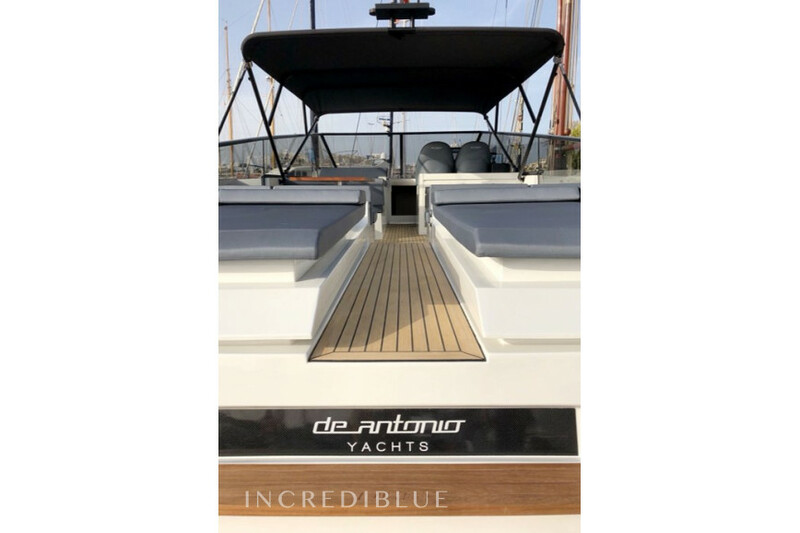 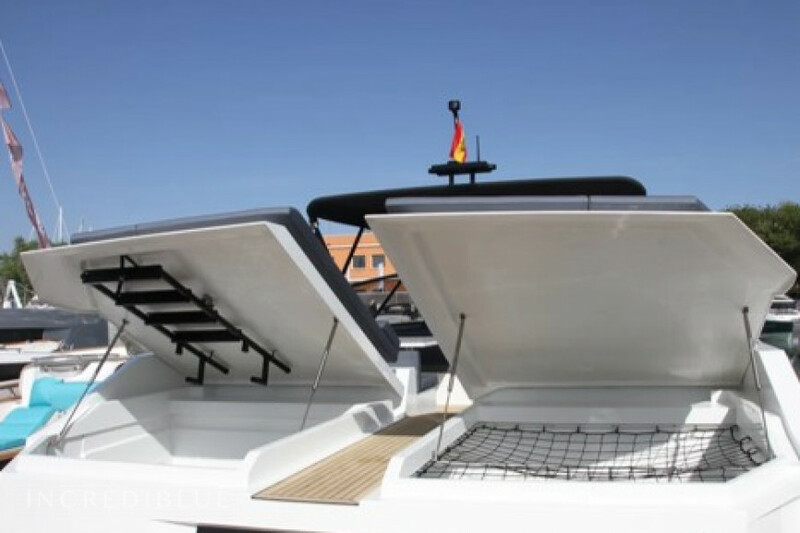 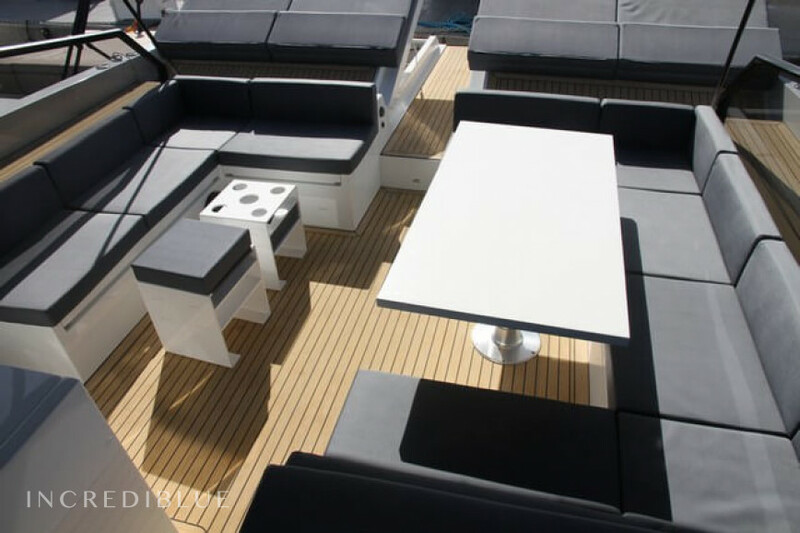 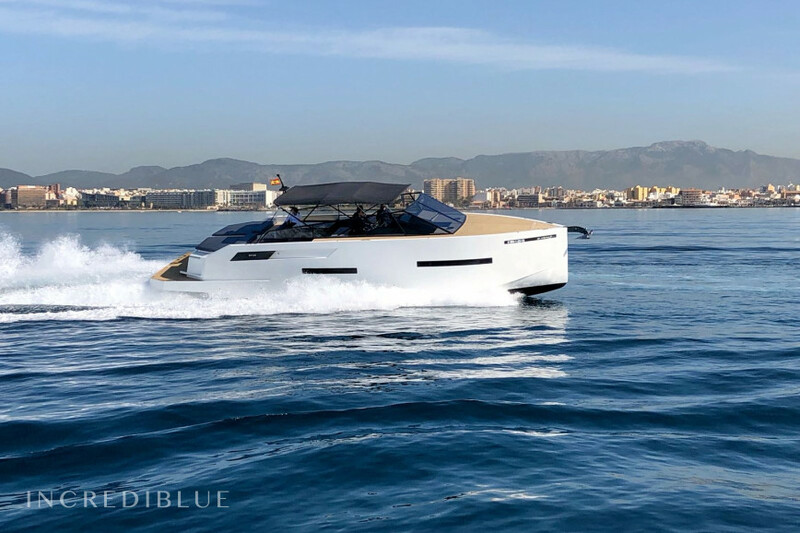 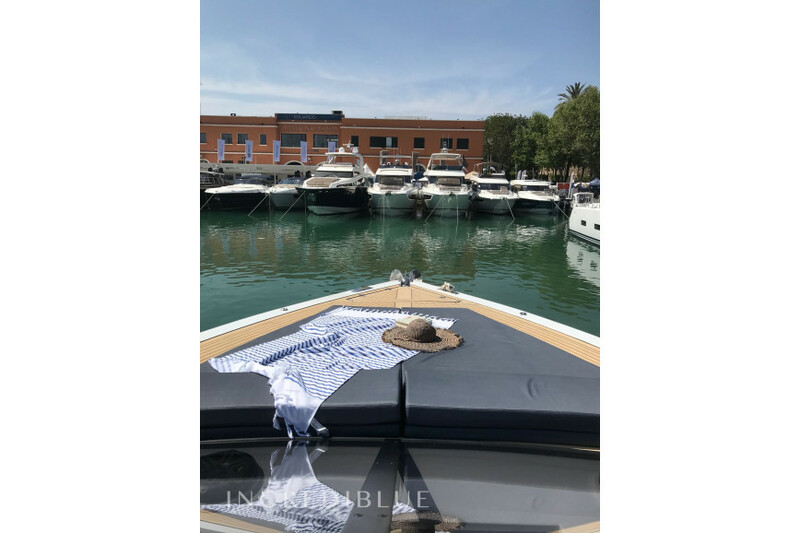 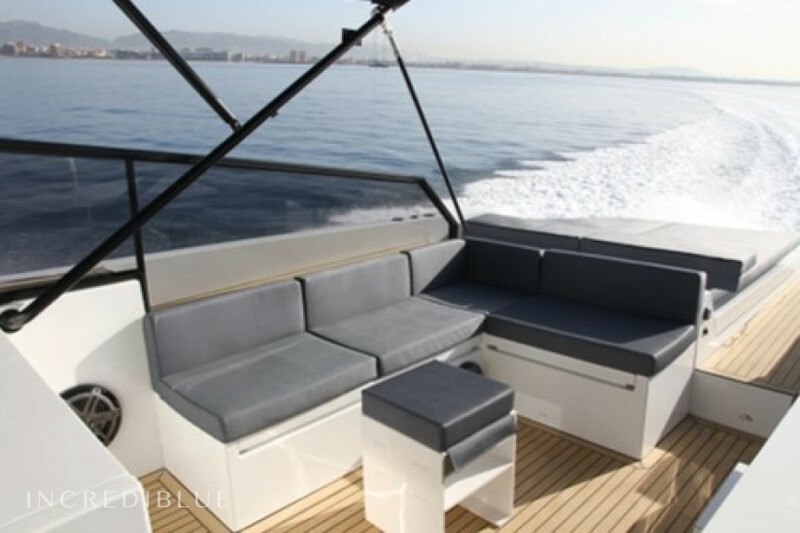 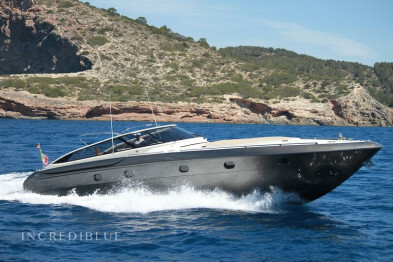 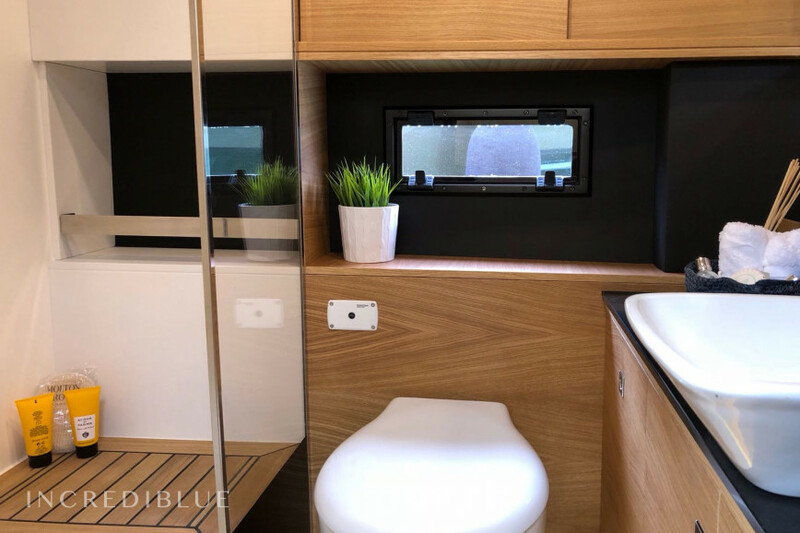 In addition, the boat is equipped with various toys such as a tender for water sports, paddle surfing, inflatables, music, board games, fruit and drinks, towels, ... all to ensure a perfect day's sailing in Ibiza and Formentera. 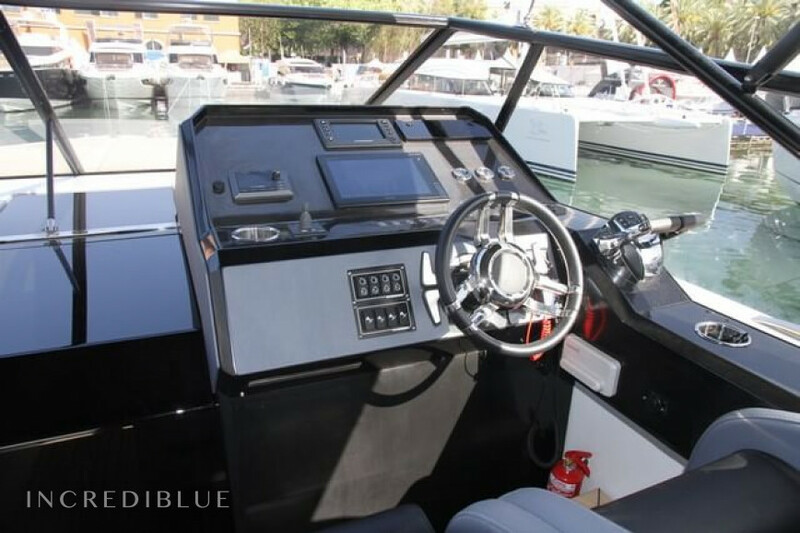 Engine power 1200 cv H.P. 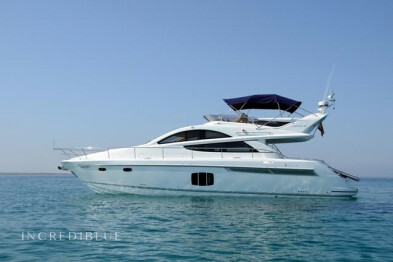 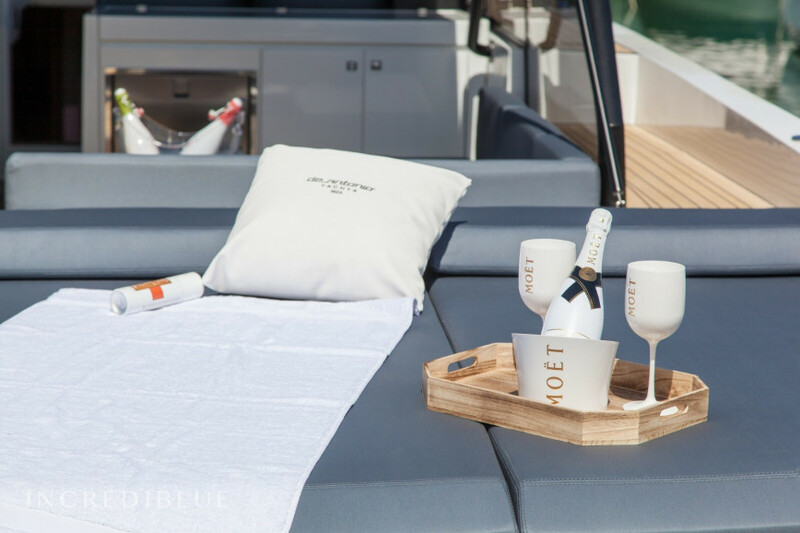 Night on board includes: bed linen, towels, daily cleaning, amenities. 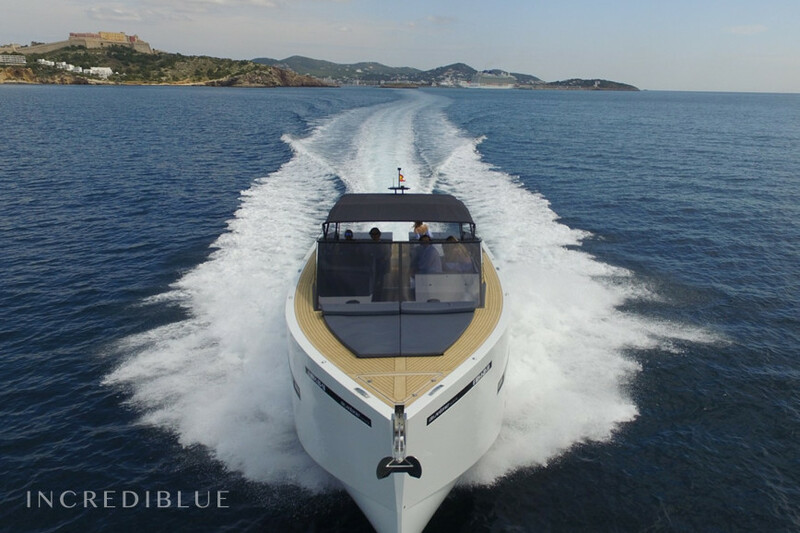 The deposit of € 800 is a deposit from which the gasoline consumption will be deducted and the difference returned upon check-out.